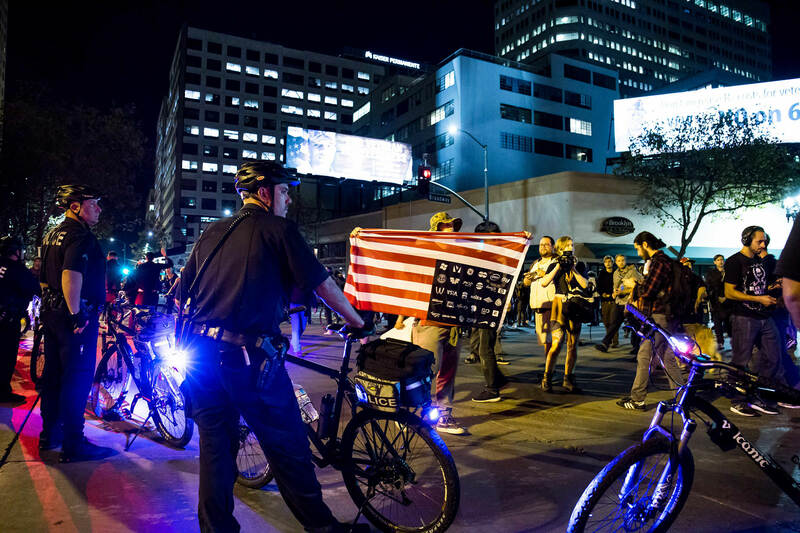 The 2008 and 2016 elections exposed our nation’s drastically divergent views on the state of race relations in the United States. In the intervening eight years, some believed that our country’s racial progress had reached the telos of “post-racial” society and required no further action. Others took Obama’s election to be an opening for progress and lobbied aggressively for “change we can believe in” to be actualized through legal reform. The deaths of Oscar Grant, Trayvon Martin, Sandra Bland, Michael Ferguson and too many others have forced Americans to confront the lack of racial progress in our nation. As police murders in Black communities dominated the media during Obama’s final years in office, another kind of violence began to show itself leading up to and since November 2016. What began as rumors and laughable moments in Trump’s campaign rallies soon turned to stories of people being removed and unnerving incidents of physical altercations by Trump supporters and police. Since November 8, 2016, hateful incidents toward immigrants, people of color, Muslims, LGBT folks, the Jewish community, and women have increased. For many observers, the fact that the perpetrators of these incidents are either self-identified Trump supporters or fit the demographic that overwhelmingly voted for Trump demonstrates that Trump’s hateful and divisive public rhetoric has emboldened citizens to act on their prejudices. Since November 8, 2016, hateful incidents toward immigrants, people of color, Muslims, LGBT folks, the Jewish community, and women have increased. As even Congress members attribute the rise in hate incidents to Trump’s actions, the President has been silent on Islamophobia, anti-Semitism, racism, and other hate incidents, leaving Americans to wonder how to grapple with the nature of on-going discrimination. Debates between those who blame “bad apples” among otherwise good, well-intentioned, inclusive citizens and advocates for systemic change who see inherent flaws in our laws and institutions are incendiary and incite further violence. On May 20, 2017, Richard Collins III, a Black college student from Bowie State University, was fatally stabbed by Sean Urbanski, a white student, at the University of Maryland, College Park. This murder on the campus where I worked for four years advising students of color and teaching Asian American Studies was unnerving, yet a part of me was not surprised given the university leadership’s lack of action on campus racism in the past. I grieved for Collins and deeply wished I could be on campus to mourn with my former colleagues and students. Barely a week later in Portland, Oregon, Jeremy Joseph Christian stabbed and murdered two men, Ricky John Best and Taliesin Myrddin Namkai Meche, and injured another man, Micah David-Cole Fletcher, who attempted to protect two Black teenagers, Destinee Magnum and her friend, one of whom was dressed in a hijab, from Christian’s verbal assaults. Earlier this summer, the Latinx and LGBT communities remembered and honored the lives of those killed in the Orland Pulse nightclub shooting. Racial violence is alive and active in our Trump-led America. Racial violence is alive and active in our Trump-led America. June 23, 2017 was the 35th anniversary of Vincent Chin’s death. For the Asian American community, this was a pivotal moment to rally together under a common identity and cause to critique the inherent racism in U.S. law and criminal justice system. While the murder of Vincent Chin continues to be a catalyst for Asian Americans — especially college students and activists — to engage in racial justice work, racial violence cannot be thought of as a thing of the past. We need to be awake to the ways in which racism permeates through U.S. laws, institutions, and cultures and leads to individual acts of violence. Fighting against racial violence connects us as Asian America, especially when we don’t always feel like one united community. Crimes against South Asian, Muslim, Sikh, Hindu, Arab and Middle Eastern American communities have been on the rise. While some of us who identify with Asian America may feel that the problems faced by certain Asian Americans don’t apply to us, the perpetrators of violence and hate see no difference. Vincent Chin was killed because his murderers saw him — a Chinese American — as Japanese. We need to be awake to the ways in which racism permeates through U.S. laws, institutions, and cultures and leads to individual acts of violence. Racial violence also connects our community to other communities of color and those that face marginalization. While we may feel vindicated by the indictment of Srinivas Kuchibhotla’s murderer, we must also realize that systemic racism and injustice allowed for Philando Castile’s murderer to be acquitted. Asian Americans must be honest about our position as being included or excluded by white America and as targets of racism. We cannot rely on the myth that our hard work will shield us from harm or that our silence and obedience will keep us safe. The achievements we make as individuals do not negate the realities of inequity and oppression. The justice we may think we operate under does not invalidate the injustice pressing down on our black and brown kin each day. The achievements we make as individuals do not negate the realities of inequity and oppression. Since his election, Trump has introduced a Muslim travel ban, threatened sanctuary cities, approved the Dakota access pipeline, and installed individuals in high-level positions who oppose civil rights and protections for the most marginalized. This has taken place in a continuing climate of violence against people of color, LGBT folks, women, the poor, and immigrants. From awareness, must come action. We can make the choice to connect to and get to know our neighbors. Genuine relationships help break down prejudice and allow us to see our interconnectedness. We can become involved in community organizations and supporting candidates who advance inclusive political agendas. We might choose to read and sign a petition, attend a workshop, or read books and honor the truths of people’s lived experiences amidst all the alternative facts from the White House. Most of all, when we see someone or a group become the target of hate, we have a responsibility to call it out and act in the avenues available to us. Silently turning our heads downward, hoping we aren’t seen, and to continue along our way has never been a viable option. Supporting a stranger when racism is occurring, documenting bias incidents, asking friends to reconsider their perspectives — these small acts can shift an atmosphere of compliance and coercion to one of active resistance to the violence around us. When we see someone or a group become the target of hate, we have a responsibility to call it out and act in the avenues available to us. 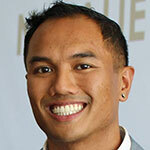 JUDE PAUL MATIAS DIZON is a liberation and equity-focused student affairs educator. 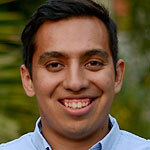 Currently he works in the Office for Multicultural Learning at Santa Clara University. Previously, Jude Paul taught Asian American Studies and advised students of color at the University of Maryland. PABLO DE LA HOYA is a graduate student at University of California Berkeley’s Graduate School of Journalism. His focus is in documentary Filmmaking, but continues to practice his photography. He has a keen eye on seeing stories visually through videography and photography.